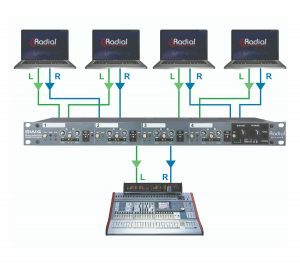 The Radial SW4 is a four channel balanced audio switcher designed to connect to multiple mixing consoles or wireless systems, providing greater operational flexibility or backup capabilities in a live performance or concert setting. 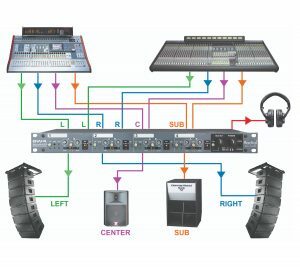 The SW4 allows you to connect two mixing consoles to the same set of outputs, perfect for festivals or venues that switch from one console to another between acts. 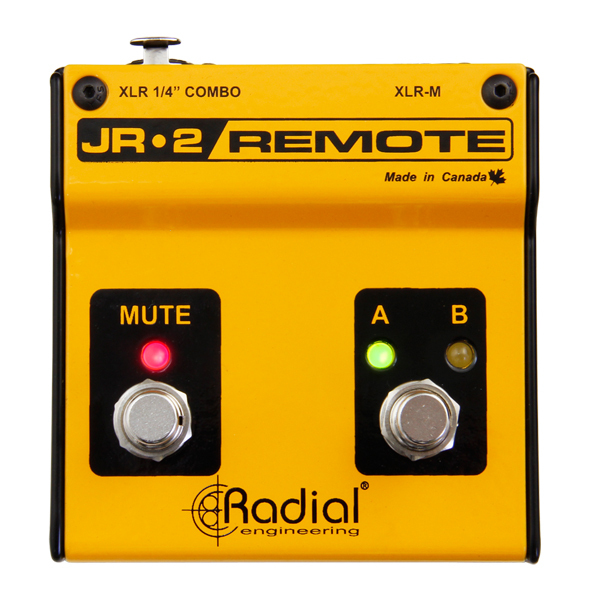 Each of the four channels features XLR inputs and transformer-isolated outputs to eliminate hum and buzz from ground loops, and they can be linked together to switch simultaneously. 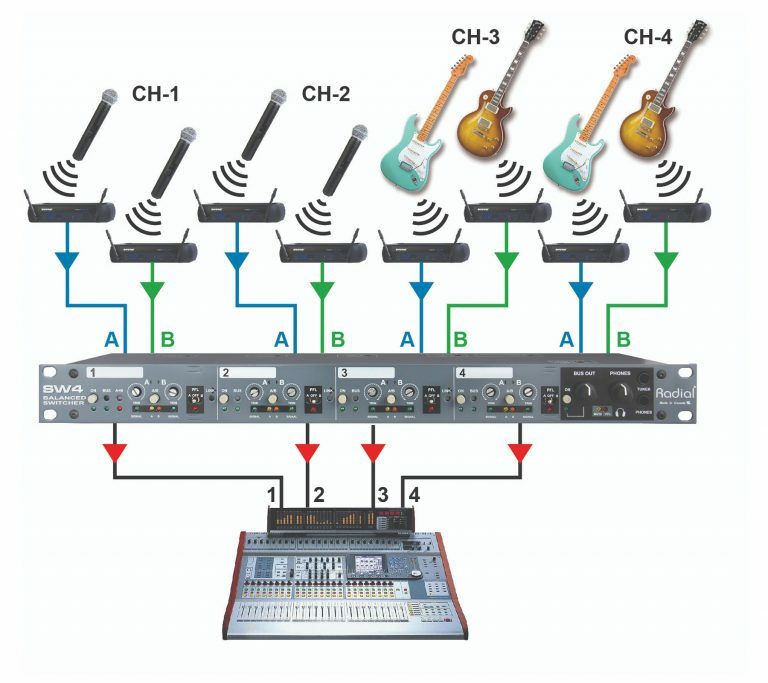 Channel-1 has a A+B mix function that sums both inputs together - allowing a wireless mic for the MC to be always active, while PFL switches and headphone outputs allow a technician to monitor any channel to ensure seamless playback. 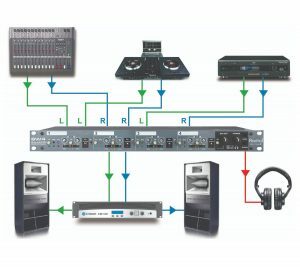 Since individual channels can be switched on their own, the SW4 can also be used to switch multiple wireless systems, playback devices, or any balanced audio sources. The SW4 is great for switching between two or more wireless systems. 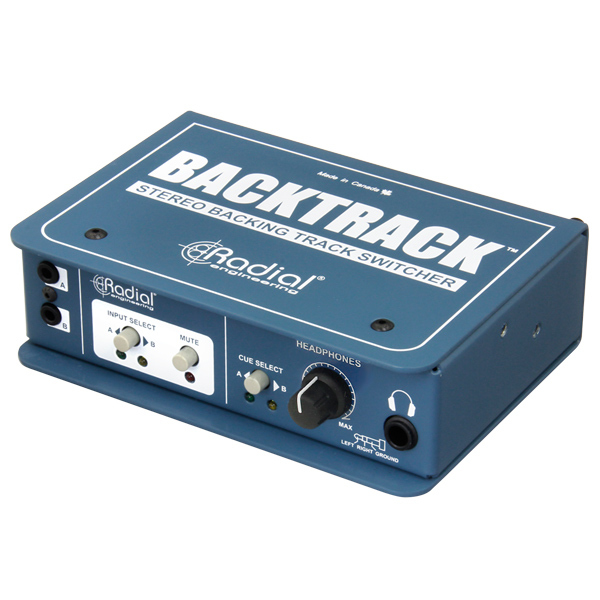 Use it for backup or to enhance the show without taking up more audio channels. 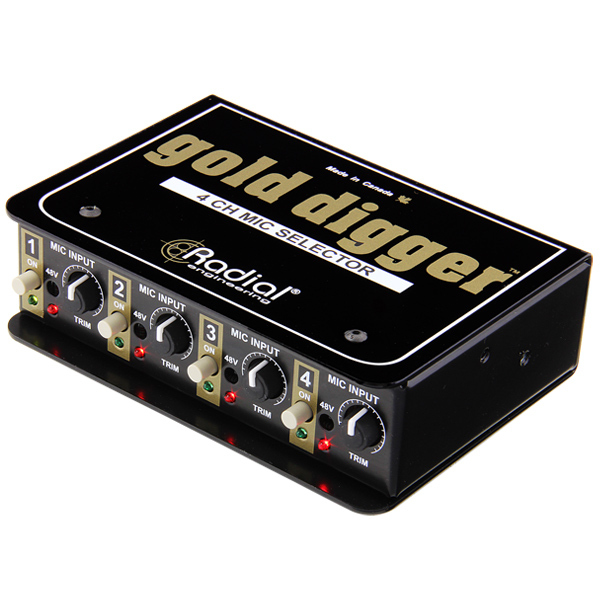 Can also be used on wireless guitars! Use the SW4 as a safety backup to switch between two digital playback systems. Connect the left channels to input-1 and the right channels to input-2. Link them together for stereo switching. With four channels, you can instantly switch left, right, front down fill and subs with a push button. The SW4 gives you +20dB of signal handling to handle high output systems. 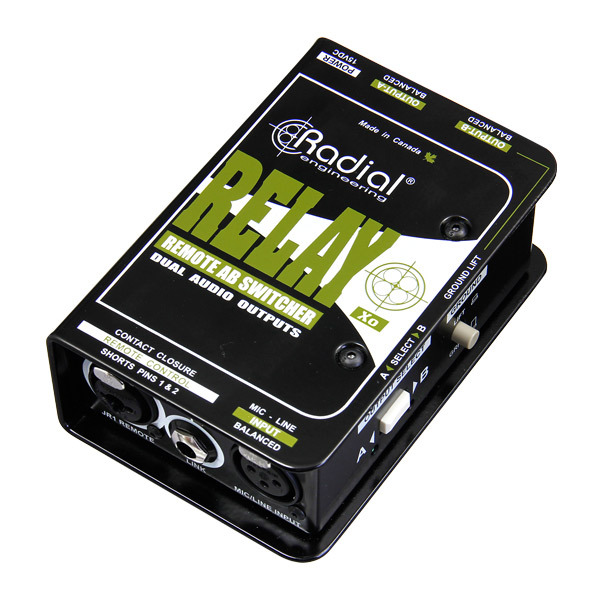 Use the SW4 to seamlessly switch between the DJ and the band in a large club. Use the PFL and built-in headphone amp to check levels before going live. "Radial have thought long and hard about making the unit 'fool resistant', and frankly I think they've done a great job!"